Arthur Frank (author of The Wounded Storyteller) writes about the times in our lives when the stories through which we constitute our identity no longer make sense. Illness, bereavement, divorce, redundancy, relocation, falling in love, marriage, parenthood and other major life events can cause us to question the familiar stories we tell ourselves (and others) about who we are. In extreme circumstances we may face what he calls narrative wreckage. Many of us experience something like this at some point in our lives (I write about my own in Coming Home to Story). At such times our identities are particularly malleable and open to change. The art of storytelling can aid our subsequent healing by helping us find new narratives that enable us to reclaim authorship of our lives and make sense of who we are becoming. 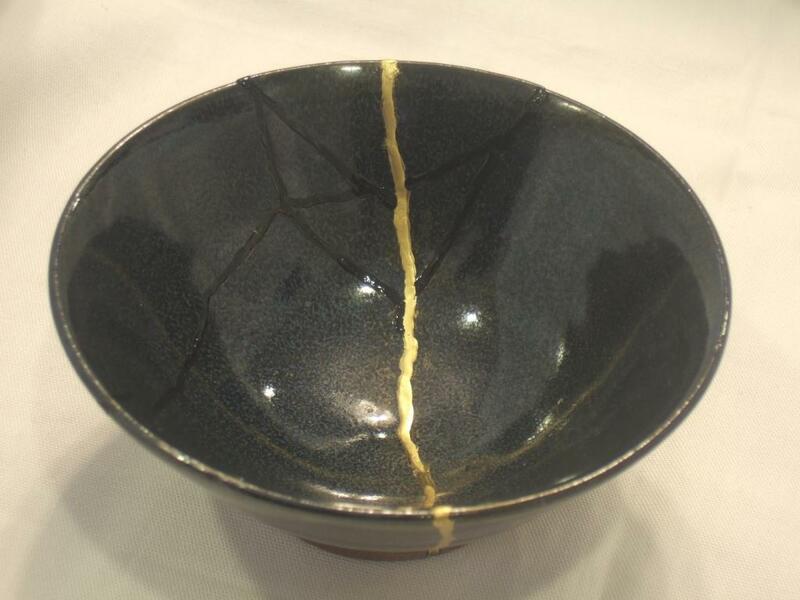 Recently my partner Chris Seeley told me that 500 years ago, the Japanese invented the art of Kintsugi: mending rare and precious porcelain with a special resin mixed with powdered gold so that the repair itself added beauty to the original object. Broken hearts, broken dreams, and broken lives cannot be unbroken but perhaps they can become whole again – and even more beautiful than before. After suffering a stroke which took half of my vision, having cancer and being in a car accident which damaged by knee and back and left me barely able to walk, I have had to try to reinvent my life. I used to be an avid bluegrass musician, but now I can’t drive and get out to play. So instead I’ve started writing novels about musicians. It’s enjoyable but doesn’t quite make up for not being able to play out. Hi Pamela. Thanks for your comment. That’s quite a journey, I wish you great success with your novels.